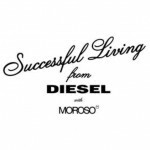 The famous Italian brand of ready-to-wear Diesel "has now won our interior with the furniture collection" Successful Living "! Stained wood type denim, black leather studded mobile music workshop revisited, coffee table style DJ console ... A universe rock, industrial and vintage for a casual, non-conformist! Successful Living is the first collection of furniture signed Diesel in collaboration with Moroso, the most famous company of home accessories in the world of design.Un union at the highest level This collection combines the great creativity of the Diesel Creative Team with the production quality branded Moroso.Ispirata universe underground music and the urban, Successful Living revolutionizes the world of furniture! The collection plays with fashion trends and reflects perfectly Diesel spirit: a style maverick, ironic vintage creativo.Look supertrendy for this low table Overdyed (dimensions: L x W cm 140. 70 29 cm x H cm) .The MDF veneer is stained ash wood is kind Denim.Il dyed, then pickled in mano.Questo reminder jeans perfectly reflects the spirit of Diesel, which has put the jeans on a pedestal with a good dose of audacity! This process also allows you to leave in plain sight of the grain structure is legno.La steel wire with color finish "Raw Black" .The basic splits for a very grafico.Il Overdyed coffee table is available in Indigo Blue and Grey Weathered.